On Saturday, April 30th from 9 to 4, down a lovely country road in Nipomo, is this spring's Remnants of the Past vintage show. Surrounded by beauty and in the perfect location , The Dana-Powers House, this show is the "creme de la creme" in beautiful antiques and staging. Now, we know it's not a party without an after party! And that's where we come in. 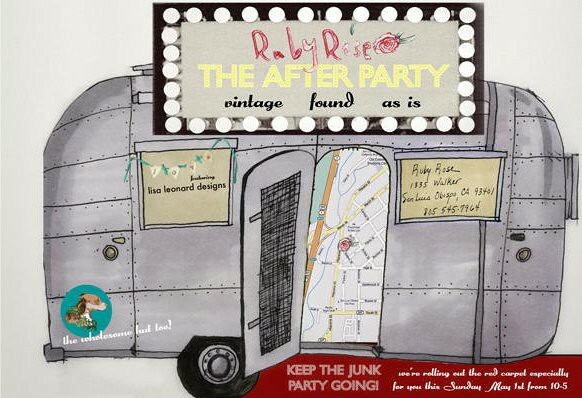 Ruby Rose will be hosting this said "after party" the next day (Sunday, May 1st) from 10 to 5! We are proud to have Lisa Leonard Designs and the Sally Loo's Wholesome Hut join along in the fun during this event! Ruby Rose will be open extended hours all weekend--Thursday, Friday, and Saturday from 10 to 5.